Phoenix roebelenii: why the leaves are dry? Every year again from New Year until the end of winter, we receive more and more questions about problems with the Phoenix roebelenii. The symptoms are always the same; the leaves begin to dry and are hanging down sadly. Time to write down our advice in an article. Was the palm exposed to frost? This palm species is not hardy! the leaves are free of pests (spider mite, scale insect, mealybug)? Check out our First Aid guide for palm trees. Is none of the above not the case? Then definitely read on. 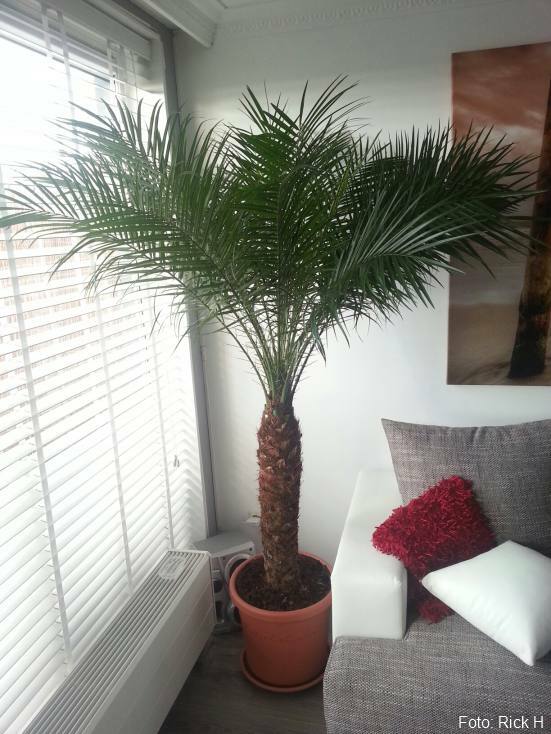 The palm looks less vital and less glossy than it did during purchase. The leaves seem thinner and dull as if you can look through the crown. This is because the leaf segments are folded. In almost all cases, the above-mentioned complaints can be traced back to the palms location. Not without reason things go wrong at the end of winter. 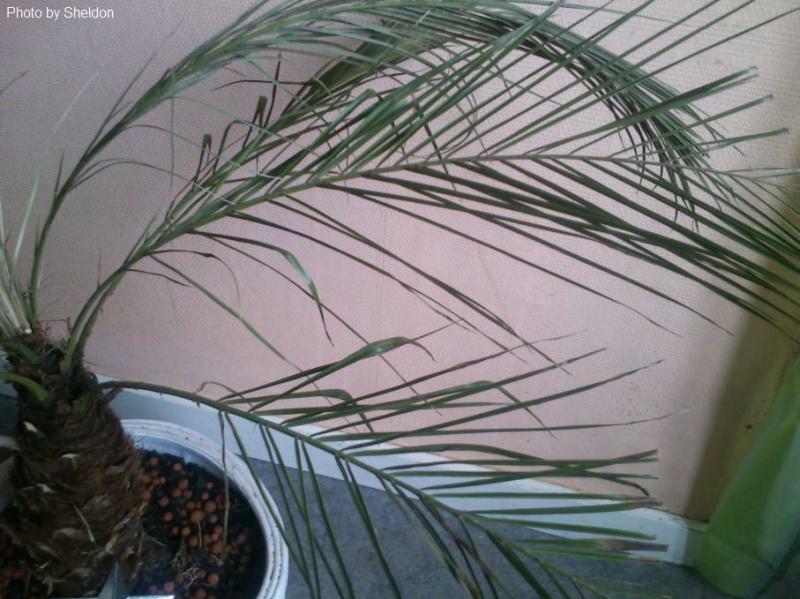 The palm is indoors where the central heating has been running at full speed for several months. The temperature is fairly high (>20°C / 68°F) and the humidity low due to the heating. The days are short and dark, so the palm gets little light. In many cases the palm also got too much water. The Phoenix roebelenii is completely confused. 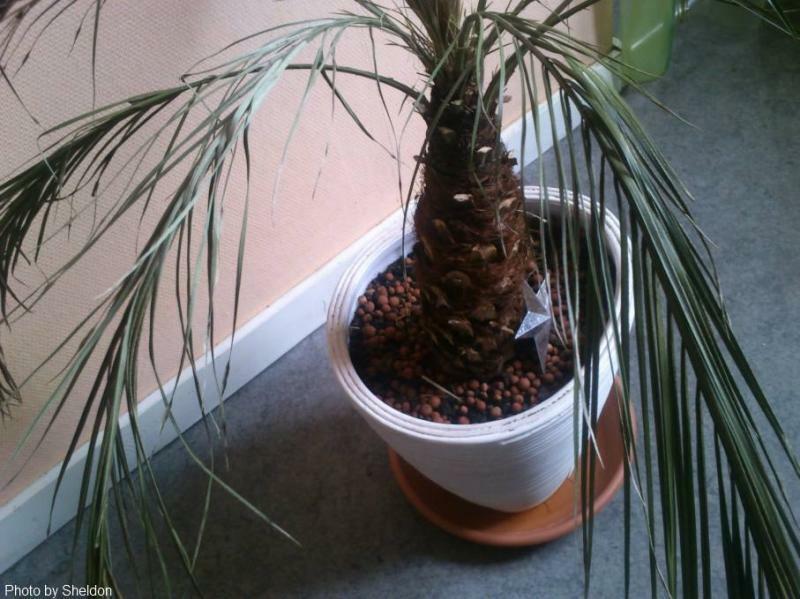 The lack of light indicates that the palm should be at rest, but the high temperature indicates the growth season. The dry air and the too humid soil are an additional obstacle. By putting the Phoenix roebelenii in a cooler place, the palm can really hibernate during winter. Sufficient light is recommended. An unheated bedroom or bright hall are ideal. Beware of sunny spots behind a window where the temperature can rise significantly during the day. During this rest period, the metabolism of the palm is virtually at rest. It will therefore hardly grow and does not consume much water. So keep the earth only slightly moist so that the roots do not rot. In this way your Phoenix roebelenii will seamlessly bridge those winter months. 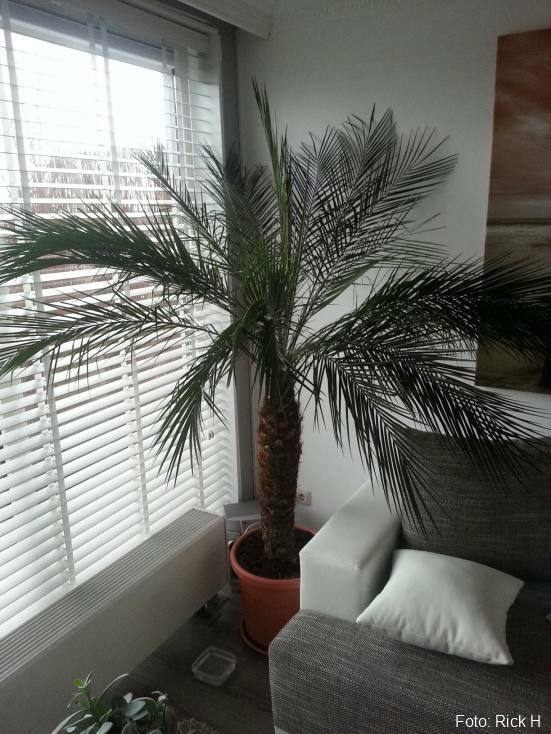 In spring this palm can be put back on the terrace as soon as the night frost has gone. Let the palm gradually get used to the sun so that the leaves do not burn.